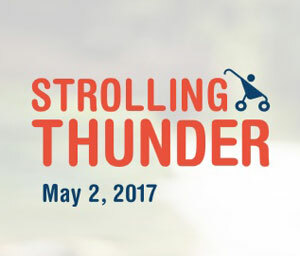 The effort was called Strolling Thunder. Matt Melmed, executive director of the child advocacy group Zero to Three, says lawmakers need to understand the importance of the early years of life and the needs of parents. “They need flexible options for paid time to be able to be there, to be able to bond with their babies,” Melmed says. “When they do go back to work, they need to have access to affordable, quality child care.” As our elected representatives are considering a repeal and replacement of the Affordable Care Act, Melmed says they need to make the development and health of babies a national priority. Melmed says making young children’s potential a national priority benefits the country and impacts everything from economic development to military readiness. He says giving all babies a strong start in life increases graduation rates, improves the quality of the workforce, improves health and reduces crime.